Rosalie Lightning was a real person: you have to know that first. She was the daughter of cartoonists Leela Corman and Tom Hart. 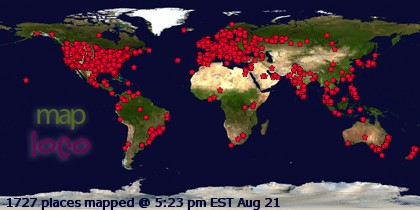 In November 2011, she was just a few days from her second birthday. And she died. Suddenly. Unexpectedly. In her sleep, for no apparent reason. Any death is sad. The death of a child is devastating. But many deaths can be prepared for -- it might not lessen the inevitable shock, but at least you know it will be coming. Rosalie's death was the worst kind of death: mysterious, random, of a child old enough to be a specific person but still so young as to be mostly potential. Tom Hart took that intensely personal, searing story and turned it into art: it's what artists do, to make sense of the senselessness of the world. The book is Rosalie Lightning. Rosalie Lightning is the story of Rosalie: a way to keep her memory alive, to put down the cute things she said and did, the person she was and was becoming, so she won't be forgotten. And it's even more the story of Tom and Leela, of a couple battered by the worst thing that can happen and who held on through it all. And then it's the story of their friends and connections and family, the people who circled around them in their pain and did what they could to share that pain and lessen it. Hart tells all of those stories, braided together -- of Rosalie's energy and enthusiasm, of the dark days after she was gone, of the frustrations of selling that co-op, of what it felt like when the ground opened up and swallowed them whole. He tells them brilliantly, in a way purely comics, with art sometimes realistic and sometime scratchy and words flowing across the page in just the right cadence. 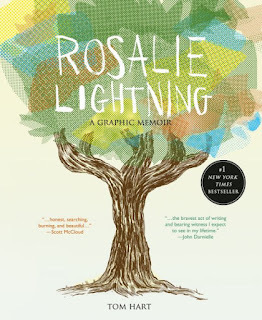 Rosalie Lightning is heartbreaking and uplifting, lovely and horrible, a monument both to the depths of grief and the glimmerings of recovery. It is a powerhouse of a book, and one of the strongest, most powerful things I've read in a long time.